NanoAvionics has signed a turnkey mission contract with Rupercorp S.A. based in Argentina to supply its Earth Observation (EO) demonstration mission with a 2U cubesat as a precursor for a follow-up constellation. The smallsat will be launched during the first half of 2018. The mission is regarded as a technology demonstration for a commercial constellation that is based on NanoAvionics M6P platform with “green” chemical propulsion system EPSS C1K. 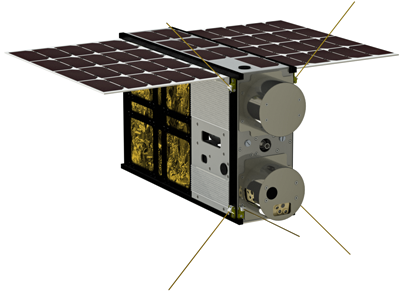 NanoAvionics will provide a 2U cubesat platform that contains the advanced ADCS system, along with critical payload systems to be tested using the cubesat bus, which was flight proven during the LituanicaSAT-2 mission. The company is also responsible for the mission software and payload integration, testing and qualification in its new facilities. The purpose of the demonstrator is to take initial low-resolution sample pictures of agricultural activities over certain territories, which equates to the satellite tasking being one of the most critical functions of the mission. The remote-sensing imagery gathered by subsequent constellation will have a wide range of uses — from agriculture management, crops health monitoring to tracking biodiversity trends in certain areas. NanoAvionics is actively contributing to the diversification of smallsat commercial applications by providing products and services for tests and full-scale missions including the launch and later operations on orbit. According to the company, they were selected as a supplier for this mission due to their combination of flight-proven functionality and reliability, remote ground station systems, payload customization capabilities, and cost-efficiency in the smallsat market.